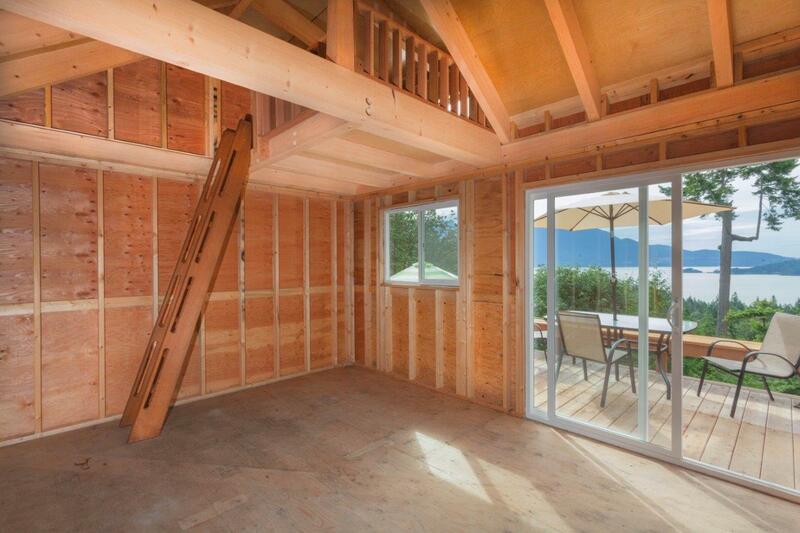 Less than two months after the project started, the Gambier Island Tiny Getaway is finished! The development team put the finishing touches on it just over a week ago, and shortly thereafter a photographer friend hopped the water taxi to capture these shots of the finished building! 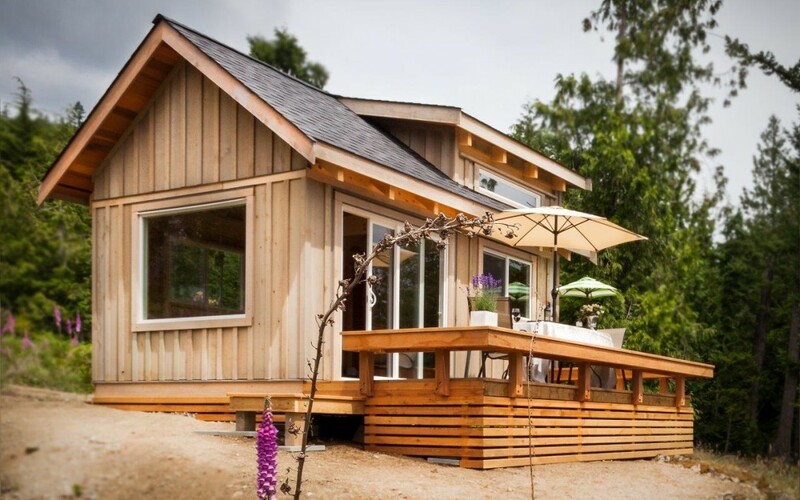 Inspired by the tiny house movement and projects like this one, the Gambier Island Tiny Getaway is designed to jumpstart the island homesteader’s ability to start using and enjoying their property right away. Use the Getaway as a base of operations for building your dream home, a workshop to slowly plug away at developing your acreage, or outfit it as your camp shack for a summer of “glamping”. 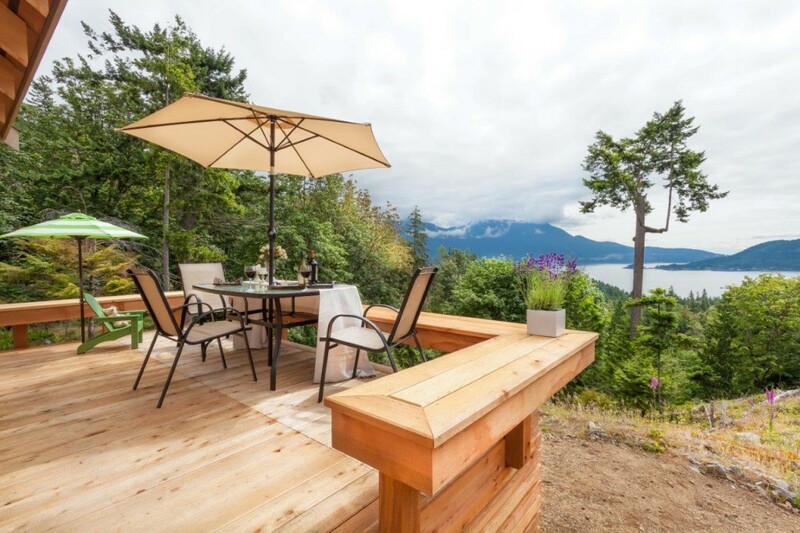 Built by Click Modular Homes at their shop on the Sunshine Coast, barged over to Gambier, and installed at the Fircom Plateau community, the Getaway sits on a five-acre lot with incredible views of Howe Sound and the North Shore Mountains. 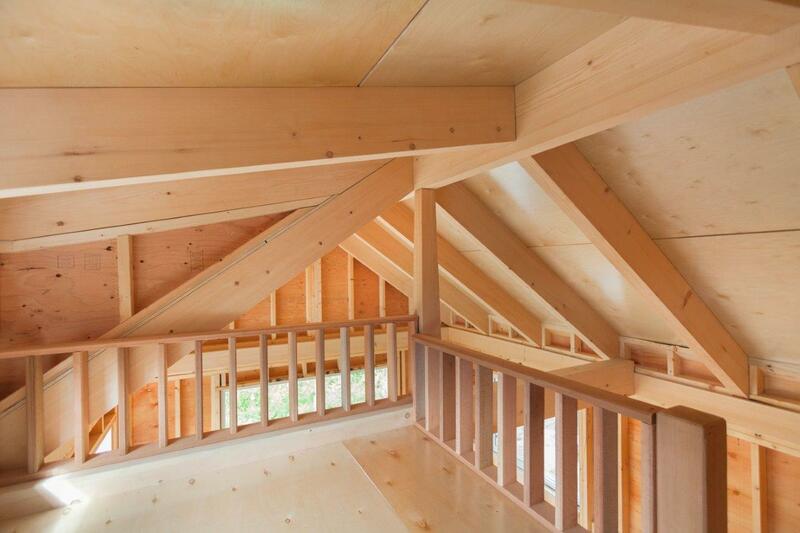 At 8’X16′, its fabulously sunny deck is big enough to host a party, and the inside loft is just right for a family nap. 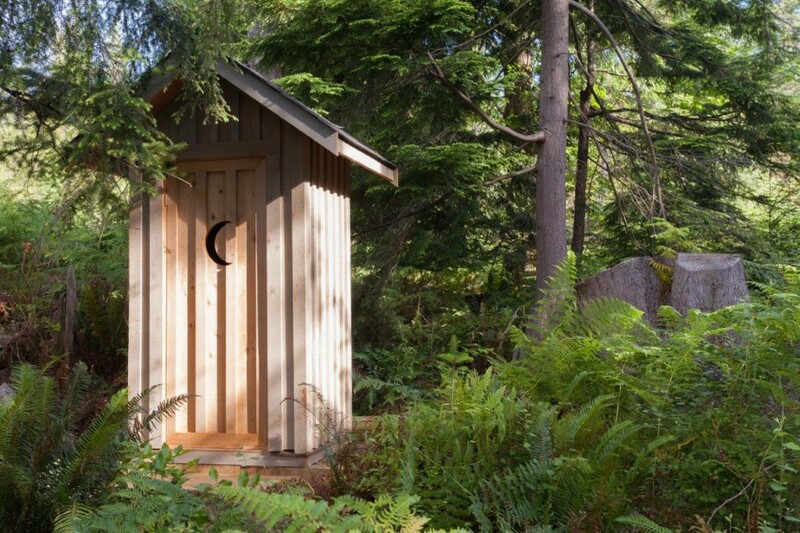 The exterior has been finished in cedar, perfect for life on the West Coast, and the amenities are a 4’x4′ privy in the ferns. Fircom Plateau is a mere 30km from downtown Vancouver, so getting there takes less than an hour, with half the trip on the water taxi out of Horseshoe Bay. It’s is a great way to decompress from work and catch up with neighbours, and with luck you’ll spot Howe Sound’s dolphin pod before you pull up to the dock. After that, it’s a short walk up to the Fircom properties which seem a million miles away from city life. Gambier is mostly undeveloped, so you’re as likely to run into a deer as one of your neighbours while you stroll up country roads lined with foxglove, ferns, and forest. And that’s pretty much it! The Getaway is a simple structure with a simple intent — to give an affordable leg up to those who want to start using their land immediately. Where you go from here is entirely up to you. I’m now booking tours to view the Getaway and the other Fircom lots. While the Getaway demo is on Lot #54, any lot can be outfitted with its own Getaway for approximately $40,000 on top of the listed price for that lot.